James Russell is a Partner at Humphries Kerstetter with over 14 years’ experience of contentious commercial practice. James has particular experience of complex financial disputes (often involving trust and company law issues) and professional negligence. He is also experienced in restrictive covenant and “team move” litigation. He has led multi-million pound claims in the City and also the Channel Islands. Following Mark’s example, he is one of the few solicitor advocates to have appeared in the Commercial Court in London. He has been cited by leading directories and described by clients as “straight talking, robust and methodical”. His current and recent cases include a £400m claim against Visa and Mastercard, a £45m claim against the former administrators of One Blackfriars Ltd and a £90m claim against RBS relating to an allegedly corrupt payment. 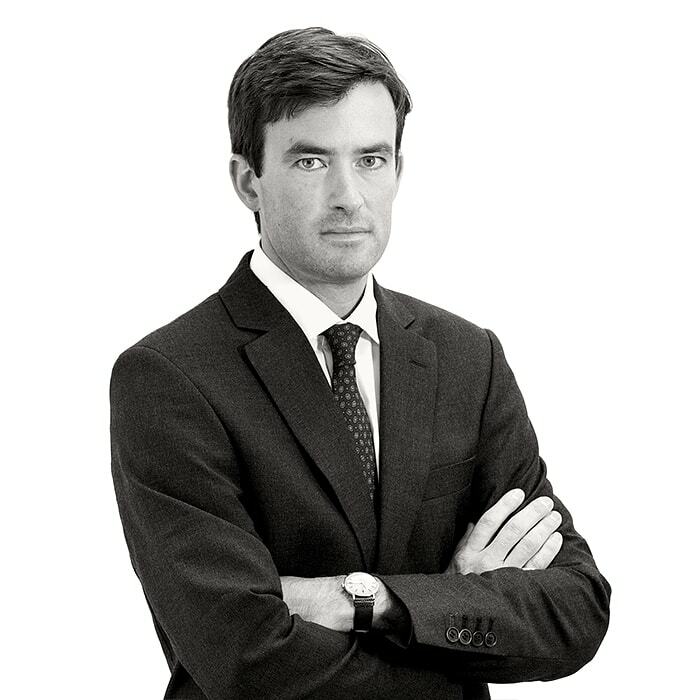 James trained at Linklaters LLP, qualifying into the Litigation Department in 2004. He remained with Linklaters until 2010 when he left to join Mark Humphries as his co-director at the firm which is now Humphries Kerstetter. He left the firm in 2013 and became a Partner and Head of Litigation at a leading regional practice. He re-joined the firm as a partner in 2017 following its conversion to an LLP. 2001 – 2002: City LPC (Commendation) – The Oxford Institute of Legal Practice. 2000 – 2001: CPE (Commendation) – The College of Law, Guildford. 1996 – 2000: B.A. Spanish (First Class) – The University of Southampton. 1992 – 1996: 3 A-Levels at A Grade – The Oratory School. James speaks English and fluent Spanish. Relevant cases include financial product mis-selling and mis-management claims, funds and private equity disputes and shareholder actions. These include “top ten” cases as listed in “The Lawyer” magazine. Conducted parallel proceedings in the Commercial Court (in which he also appeared as advocate) and the Tax Tribunal in relation to the unauthorised release of millions of pounds worth of bonded tobacco into the UK. Acted for the former directors and shareholders of an international nano-technology business in defence of claims for breach of fiduciary duty. Acted for the selling shareholder of a technology business in claims for misrepresentation and breach of contract against the purchaser of the business in the Commercial Court (in which he also appeared as advocate). Acted for a team of taxation and accountancy professionals in a restrictive covenant dispute with their former employers. Acted for UK based asset managers in defence of fraud and professional negligence proceedings (including a claim against a UK Top 10 legal practice) being advanced in Austria, Portugal and England. Acted for a charitable organisation in relation to a substantial IRS mis-selling claim against a major high street bank. Acted for an HNW property developer in the successful defence, following a full trial, of claims for breach of fiduciary duty before the Guernsey courts. Acted for Barcap plc in a derivatives mis-selling claim brought by an Italian savings bank. Acted for Ernst & Young in defence of multi-million pound professional negligence proceedings. Acted for Centrica plc in a £350m claim against Accenture plc. Acted for the administrators of Lehman Brothers in relation to the “client money” litigation. Acted for a leading investment bank in the high profile termination of its CEO, which was subject to extensive media coverage.